You could say I am getting a head start on next year's Thanksgiving recipe postings. Or you could say that my Thanksgiving recipe posting planning went the way of most things I attempt to plan, straight to pot. Either way, this recipe is hands-down one of the favorites at our Thanksgiving table every year. It's such a hit that I typically make it for Christmas dinner as well. Maybe you will too. 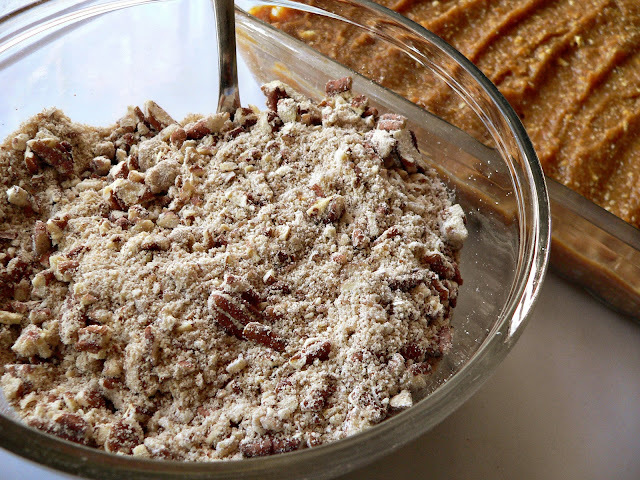 This recipe finds its origins with our dear friend, Dr. B, who is from the South. 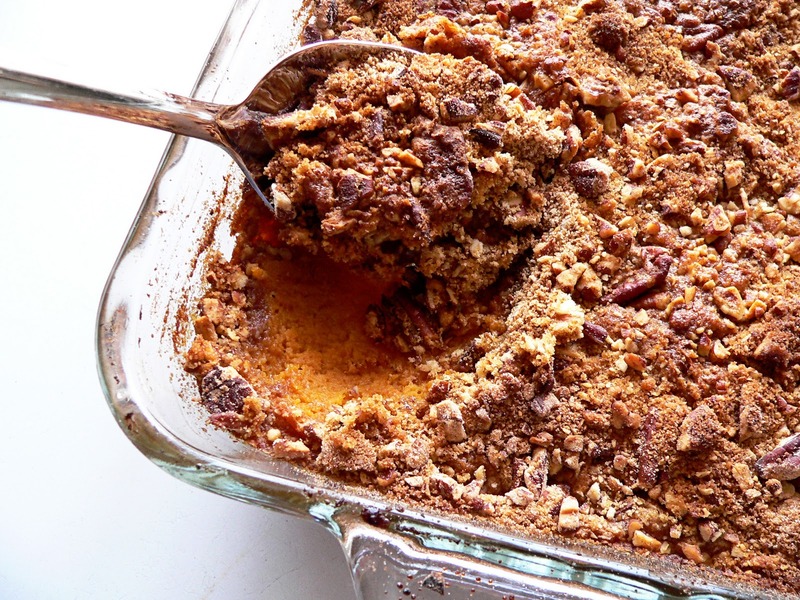 Before I met Dr. B, I never had a sweet potato casserole. A cryin' shame. About a decade ago he brought it to a Thanksgiving potluck at church. Upon request, he passed the recipe along to me from his mother. Whom I'm sure was passed along the recipe from someone else after attending a Thanksgiving potluck at church. My point here is twofold. Despite the fact that I'm a Yankee [proven by my 22% Dixie score on this here Advanced Rebel-Yankee test], this recipe is Southern through and through. And despite that I've made some changes to accommodate our special gluten and dairy free diet, good recipes always have a way of getting passed down from homecook to homecook. This is one of those recipes. Dixie disclaimer: I reduced the amount of sugar in the casserole by half... and it still tastes like dessert to me. This recipe is super easy. Literally two steps and done. Mix filling ingredients together with a handheld blender. 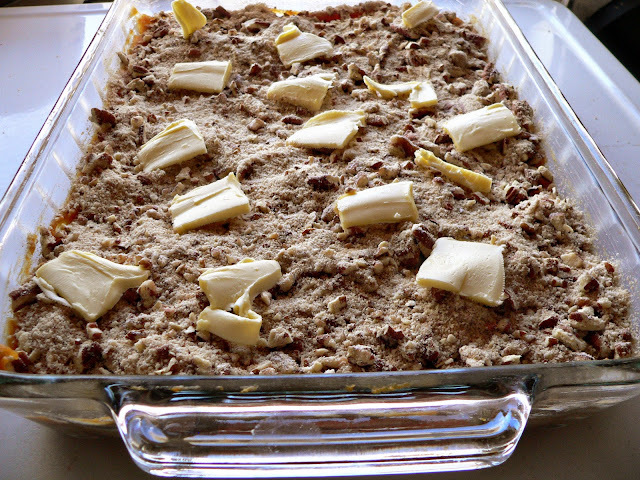 Distribute mixture evenly in a well greased 9 x 13 baking dish. 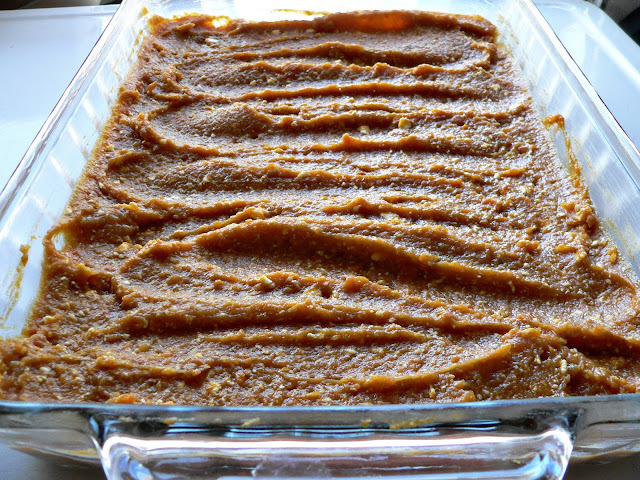 Distribute topping evenly over the sweet potato filling. Place pads of butter evenly over the top. Cover with tin foil. Place in preheated 350 degree oven for 20 minutes. Remove foil covering. Continue cooking for another 15 minutes or until the topping is nice and brown. Serve as a festive holiday side dish, or even as a gluten and dairy free dessert. Scrumptious! Gavin DeGraw has been blowing my mind lately. I can not get enough of his music, specifically his 2011 album Sweeter. If you have not heard this yet, you need to. There is something so remarkable about this man's music. Please, please, I beg of you, go listen to his album on Spotify right this instant. But in keeping true to the holiday spirit, I am compelled to play a little Christmas jingle for you. Gavin DeGraw displays his musical prowess here singing Merry Little Christmas. 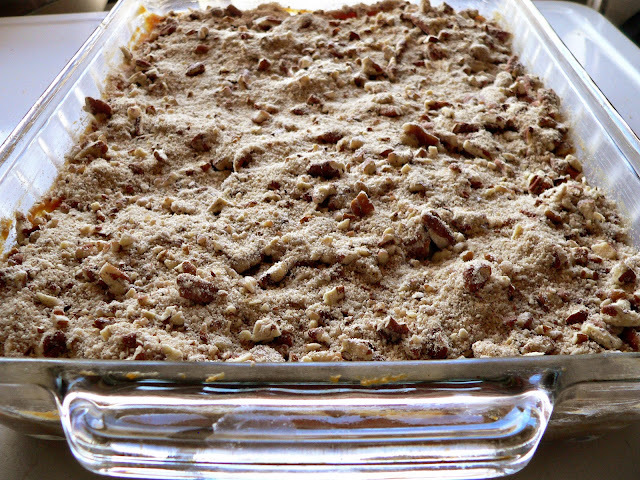 How do we eat that sweet potato casserole? Do we just spoon it out? This looks yummy among gluten free desserts! We eat it by spooning it out and devouring it like a crustless pie. Enjoy!